Judge John Mosely, Jr., is a native of Coushatta, Louisiana. He graduated from Southern University in 1983 with a Bachelor of Science in Accounting. He entered Southern University Law Center and received the Juris Doctor Degree in 1987. 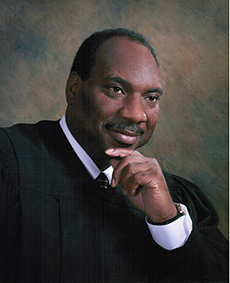 Judge Mosely is a member of Zion Baptist Church, Shreveport, Louisiana, pastored by Reverend Brady L. Blade, where he serves as a Deacon, presently serving as Board Chairman. Louisiana, Parish of CADD0, Subdivision 1, Division “G”. He is the youngest person ever elected to the bench in the First Judicial District Court. ← Judge James E. Stewart, Sr.